Had the camera out and a few of the snakes were also out showing themselves. 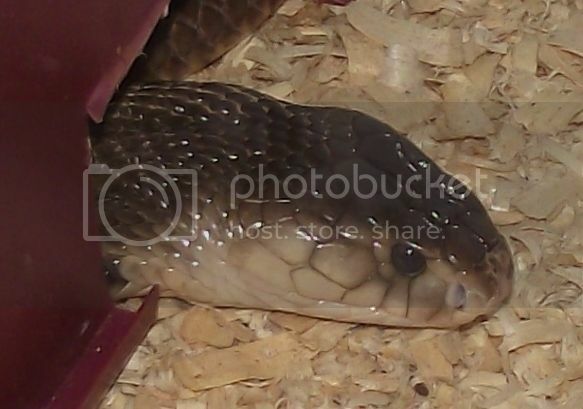 Up first is the Monocled Cobra peeking out from his hide box. 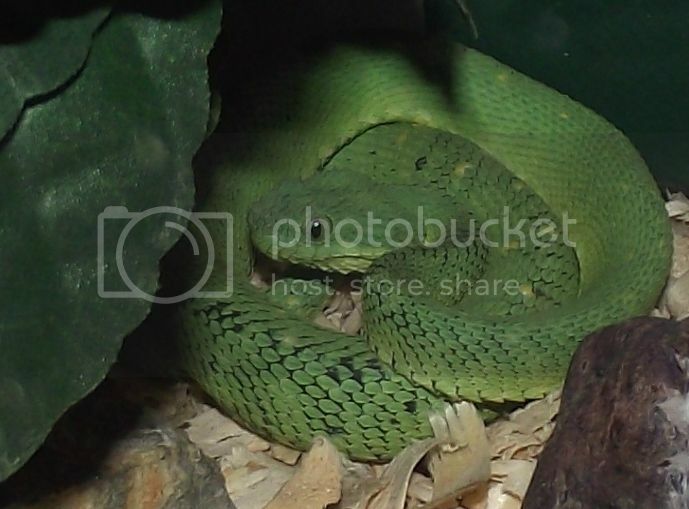 Next is the Bush Viper trying to hide behind a plant. Here is my larger Water Moccasin/ Cotton Mouth. 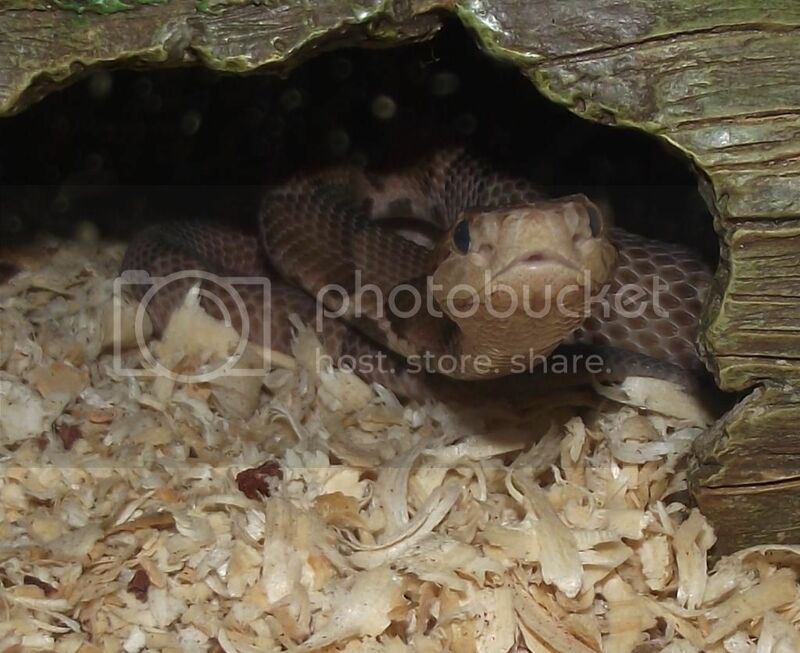 And lastly is my Southern X Northern Copper Head plying peeky boo. Awesome pictures Jerry, as always. You have a great collection. Cobras always look so mean! 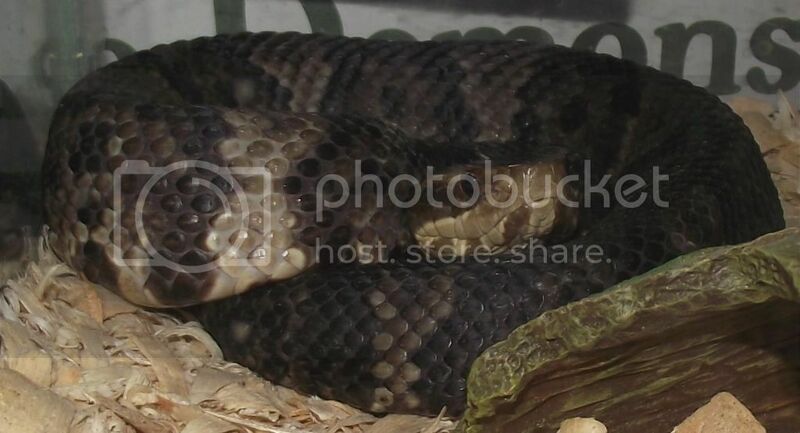 Is that water moccasin pissed off or is he just a tubby guy/girl? I have 2 Water Moccasins and that one always has an attitude problem, but the other one is docile. 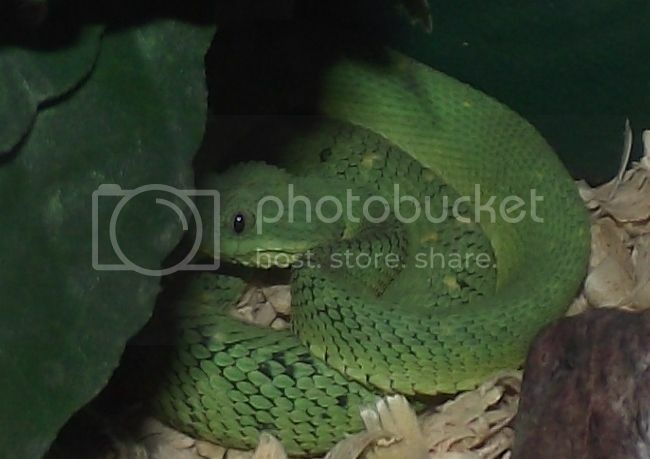 Love the bush viper! Thanks for sharing the pics! Any more photos of the Atheris? I've wanted one forever but I was either never ready or didn't have space. I'll try to take a few more soon. 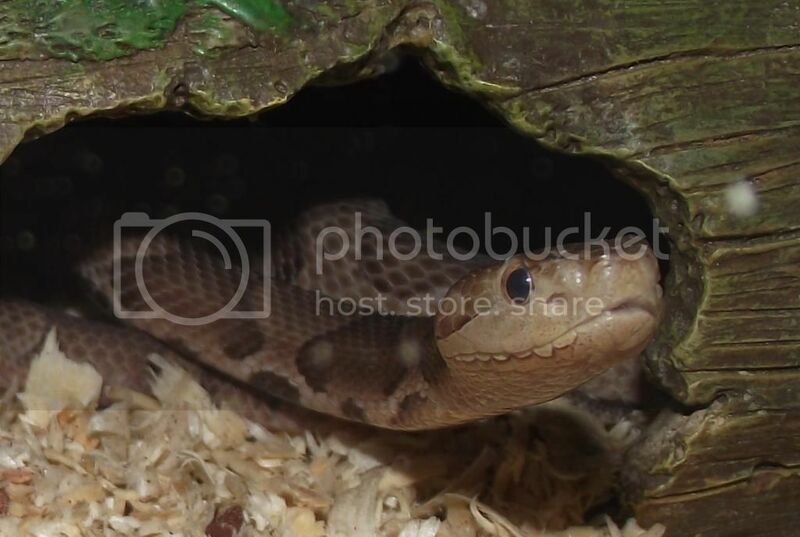 Northern copperheads are illegal to own in the states where they are native. That is why I own Southern copperheads. Sssnakes, can you give me a bit more information on your humidity maintenance? I'm really curious how you can keep humidity up for the bush vipers without misting. I'm always curious to learn other keepers' methods that have worked for them. I have licenses to own native snakes and venomous. The snake room has a humidifier in it. All you have to do to control humidity in any enclosure is to control the ventilation. I can make any enclosure condensate on the glass by controlling the ventilation. I learned this by being a Heating and Air Tech for 20 years. That makes sense...you've never had Aspen bedding mold though? How often do you change it? I only keep my boa and carpets on Aspen and it will mold right away if they spill their water on it. I switched to almost all cages having cypress mulch since it's soft, won't mold and holds humidity amazingly well. I spot clean the aspen and only change it about every two months. I have never had mold issues. When I spot clean I make sure I stir the aspen up to allow air to circulate through it.